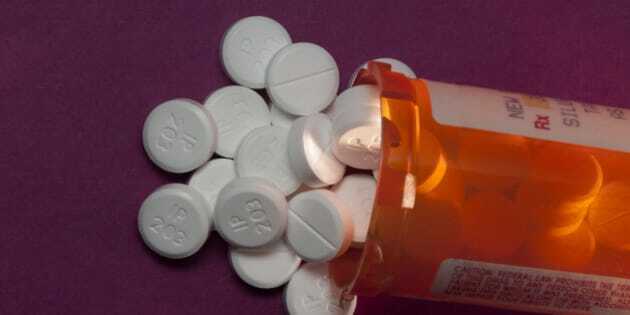 Doctors are now under firm guidelines for prescribing opioids and other addictive substances, a regulation meant to limit the number of patients prescribed them and, correspondingly, lower rates of addiction and abuse. But in the attempt to reduce and eventually eliminate one problem, it's creating an entirely different one. When I was 15, I suffered a serious brain injury. I fainted. All I remember is coming to. I thought my neck was broken. I couldn't move. I felt hands wrap around my ankles, and pull me away from the corner my head was wedged in. I couldn't see. I could hear my mom desperately saying my name. My vision slowly came back, and I saw her face staring down at me, frightened, and felt her hands touching my cheeks. Eventually I regained consciousness, sat myself up, and took it easy for the rest of the weekend. I insisted I was fine. But man, I had a headache. On Monday morning's drive to school I tried to answer a simple question, but couldn't. I knew what I was trying to say in my head, but I couldn't form the words. I only spewed incoherent mumbles. My mom's hands tightened around the steering wheel. We went to the hospital. The diagnosis: loss of consciousness due to a drop in blood pressure (for no apparent reason), a seizure triggered by the impact, and a subdural hematoma -- bleeding on the brain. I had no idea that this one event would change my future as drastically as it did. I couldn't function for the next few months. I couldn't stand for long, keep my eyes open for much longer, or have a real conversation. For years I had cognitive trouble- I couldn't read well, write well, or speak well. I had trouble concentrating. I avoided anything that involved speaking in front of the class to avoid the embarrassment of slurring my words or stuttering. My marks suffered, my friendships suffered, I suffered. But the headaches- nothing compared to the unbearable headaches. I would have moments of clarity, until, out of nowhere, my vision would fade. Every sound became excruciatingly loud, and light became unbearably bright. I couldn't gather my own thoughts. My parents spent thousands of dollars on treatments, countless hours in doctor's offices, and many days and nights wiping my tears away. Nothing seemed to work. At 17, I took my first prescription painkiller. Don't worry, this isn't the introduction to a new episode of Intervention. It didn't ruin my life, it saved it. The pain was beginning to destroy me. I struggled through bouts of depression, and lost any sense of self-worth I had. I felt useless. And I was. This little pill gave me myself back. I am now 20, a third-year university student. I regularly take prescription painkillers. I am a highly functioning young adult, and no one would ever guess what's in my medicine cabinet. My headaches are still frequent, but they're well managed. What isn't as well managed, however, are the unfair beliefs, often incorrect media-driven assumptions that people make, and the negative stigma that surrounds people like me. There's no denying we have a problem. In 2014, Medical Daily reported that opioid painkillers accounted for 68% of ER overdose patients in the United States. But America isn't the only place with a problem. Canadians' usage has steadily increased over the last decade, making it the second-largest consumer globally. "I am being compared to the horror stories that people hear about on the six o'clock news." I, and many other responsible prescription drug users, receive verbal and emotional abuse from family, friends, and even doctors. For every person incorrectly using or illegally obtaining these pills, there's someone, like me, using them correctly. But those aren't the people you hear about. We are all placed in the same category. I avoid telling, and often flat out lie to, people rather than tell them that I take Percocet. I've had members of my own family look at me with disgust when they find out. "You've gotta stop taking that crap, you're destroying your body," they say. People cringe. I've heard, many times, "You know that's what people take before they start doing heroin." People you expect to support you often turn their backs. I am being compared to the horror stories that people hear about on the six o'clock news. It's damaging. It hurts those of us who are already struggling to deal with chronic pain, and are now struggling to deal with chronic, delayed-onset assholes. Last year, while I was at school, I realized that I'd forgotten my pills while visiting home. I didn't notice until, later that week, a migraine came on. After two days of hell, I went to a walk-in clinic not far from campus. The doctor, a thin, grey-haired man, glanced at me through his glasses, and asked, "What brings you in today?" "Well," I said, "I get migraines, and I've had one for two days now. I left my medication at home over Thanksgiving. I'm going home again next week, so I just need a couple to help me get rid of this headache." "What do you take?" he asked, without lifting his gaze from the computer screen. "I have a prescription for Percocet." He turned and looked at me. "How much do those go for on campus?" he said sarcastically. "Sorry, what?" I said, confused. I began trying to explain myself. "No, you see, I have a prescription, but I left mine at home and--"
"Ya, I'm sure you do," he said, and proceeded to lecture me about my "addiction," while writing me a prescription to "get me off of it." I took it, shocked, and got in my car. I felt tears stream down my face. Without any assessment of me, physically or mentally, he judged and incorrectly determined my motive. Rather than considering the problem I had come in for, he categorized me with addicts, abusers, dealers. And he made sure to let me know. I realize that many people are abusing the system and these drugs. But I, and many people suffering from severe, chronic pain, do not deserve to be treated like delinquents, or drug dealers, or "kids trying to find a quick high." I do not deserve the negative stigma and abuse I've received, and the shame I've been made to feel. People equate responsible prescription users with back-alley thugs- especially young people, because it's easy to categorize them as off-the-rails, millennial delinquents. I am not any of those things. I do not have an addiction. I do not have a problem with prescription drugs.